Warning: the below post will make you want to be on a tropical, white sand beach somewhere...please read on at your own risk. Well, if you've made it this far, I salute you. To be honest, it's a little hard to write (and read) this post myself! So I'll just get right to it. I've always been a fan of turquoise. Always. My mother's favorite stone, it's been instilled in me to love turquoise with all my heart. Being in the Dominican Republic, surrounded by crystal clear turquoise waters made me even more inspired by the color than ever before. 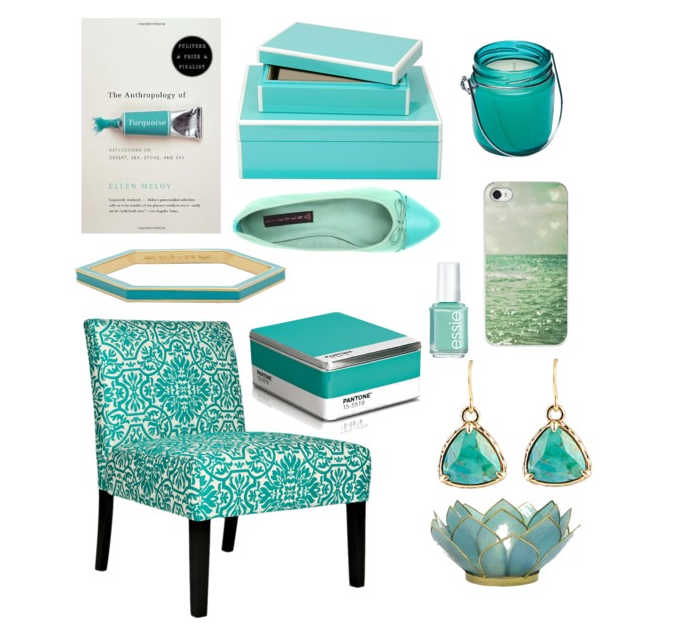 So even though it's snowy and gray in Minneapolis, I'm seeing turquoise. While perusing the Internet lately, I've been drawn to these items. While my wallet wouldn't be happy with me buying all of them, a little pop of turquoise here and there never hurt anyone.